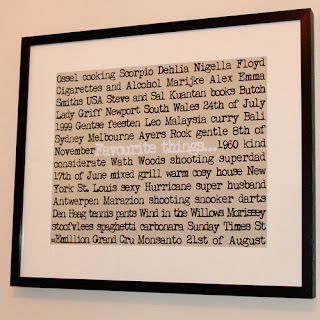 Today we have Lisa from More Than Words telling us how her passion for Design and Fonts has grabbed her some A-List Clients in the form of her Typographic Custom Art. 1. In just a few sentences, could you describe your business? 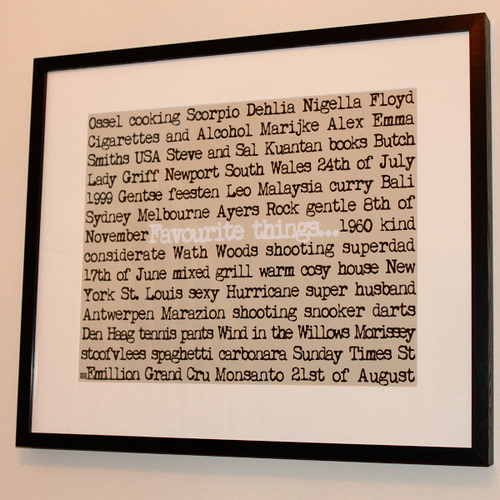 More Than Words specialises in capturing memories as unique works of typographic art. From new baby to wedding day details, favourite things to special destinations...the list is endless. All artwork is designed and hand-finished in the UK to strict Fine Art standards. 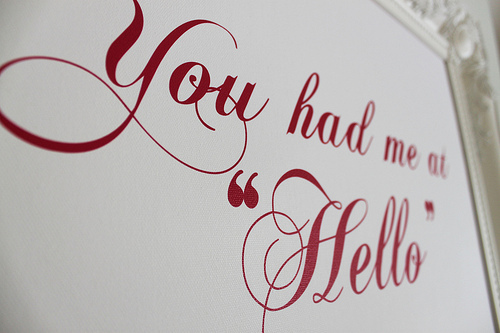 More Than Words also has a non-bespoke collection, including iconic typographic quotes and screen prints. 2. When did you set More Than Words up? The business was launched by me, Lisa Long, in March 2010. 3. How did More Than Words Start? I have always loved design, in all shapes and forms – interiors, graphics, illustration, but it wasn’t until I took time out of a busy career to look after my children that I decided it was time to follow my passion and launch my own design business. 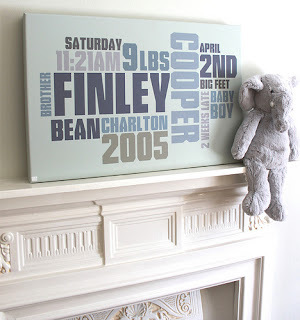 I actually fell into the typographic design side as a result of creating a piece of art for our home, after struggling to find artwork that was affordable but premium quality, a great talking point, and something unique that we really loved. I have a ‘thing’ for fonts…their simplicity has such impact, they surround us all day every day… so I created what is now the ‘original Memories Canvas’ to adorn our walls. A collection of our favourite memories as a piece of word art on a huge canvas in colours to match the room. 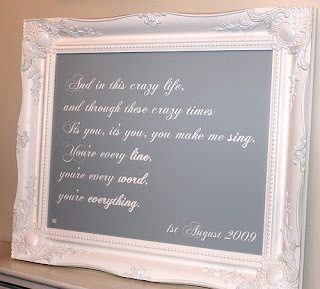 I had so many requests for friends and family to create something for them…and from there More Than Words was born. My husband and I used our graduate IT skills to build the first website and invested as little as possible to get More Than Words off the ground. As much as I love my two boys, I set the business up initially so that I could have something other than motherhood to focus on. I love being a mum but for me it was important to have something that I could fit in around them, to keep my brain active. I love a challenge and, as much as I dreamed the business would be a success, I really didn't expect it to take off so quickly! I think I now work harder than I did in any role that I was in before I had children...in fact, I'd say I now have two full time jobs...motherhood and More Than Words! 5. How many employee’s are there in More Than Words and who are they? Just me! My husband is very supportive and takes care of the accounts which I physically don't have the time to do any more now that I have a retailers who also sell More Than Words products. I handle everything else...the marketing, design and planning. 6. How did you decide on your business name? 7. What’s the best thing about More Than Words? 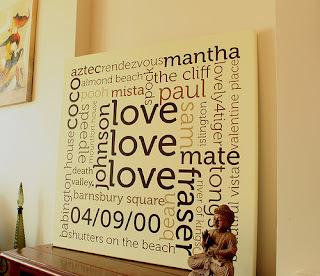 More Than Words is very unique and is fantastic gift for all occasions, from birthdays, to weddings, a leaving gift, anniversaries...I've created something for just about every occasion now. I love being able to create something so special and meaningful for someone. Customers have the ability to submit all of their details via the website, including mixing their very own colours to match any interior (or wedding colour scheme)! The business has done so well in the short space of 8 months and all I can hope for is that people continue to love my products. 8. What do you find most challenging about More Than Words? What started as a little job I could fit in around the children has now become a full time role, just in-between nap times and when the children go to bed. I literally work until midnight and then I'm up at 630am with my boys. It's becoming more difficult to juggle so next year I will have to address the rapid growth and possibly look into hiring someone to help. 9. What have been some of the greatest rewards from your business? I have a list of celebrity clients, including commissions for Dannii Minogue and screen-writer Richard Curtis, and have recently created a piece for one of the top retail businessmen in Britain. My artwork also hangs on the walls of Wedding Ideas magazine HQ and has featured in national wedding and interiors mags and design blogs around the world. I also receive amazing testimonials daily which I am always so grateful for, people taking the time to let me know how pleased they are with their artwork. 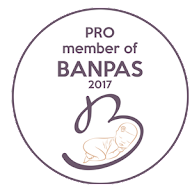 This year I was shortlisted as a finalist in the MumpreneurUK awards for Most Unique Product which was an amazing achievement. Last week I was also chosen re-tweeted on Twitter by Theo Paphitis (#small business Sunday) and, aside from the fabulous publicity, received Ryman vouchers and a Red Letter Day from him and his team. 10. What’s the best thing More Than Words give to its customers? A unique piece of very personal artwork that can be cherished as a keepsake forever. 11. Do you have any top tips for choosing one of your products? Take your time to think of words and always make sure you double check spelling! 12. What three pieces of advice would you give to anyone who wants to run their own business? To make your business a success you need to have a real passion for what you do. I work long hours because I want the business to grow. It's my third baby. Market your product and plan well ahead - It's Christmas time now but I am already planning Valentine's day pieces. I'd recommend that any new business owners master the social media side of things...Twitter has been fantastic for me.